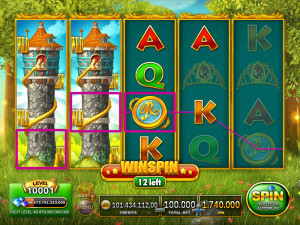 Your adventure brings you to a huge stone tower, home to the beautiful Rapunzel. She looks hungry though… perhaps you could send her some lunch somehow? 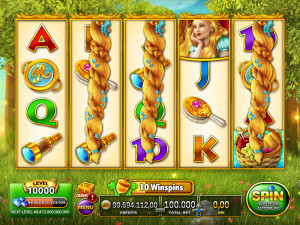 Rapunzel’s magic hair and the ever-busy squirrel make this slot a true adventure on 50 win lines. 3 “Basket” symbols trigger this bonus. 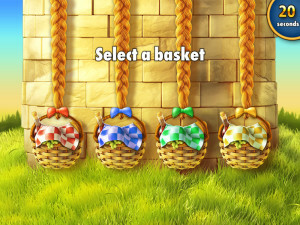 Choose a basket to start the bonus. 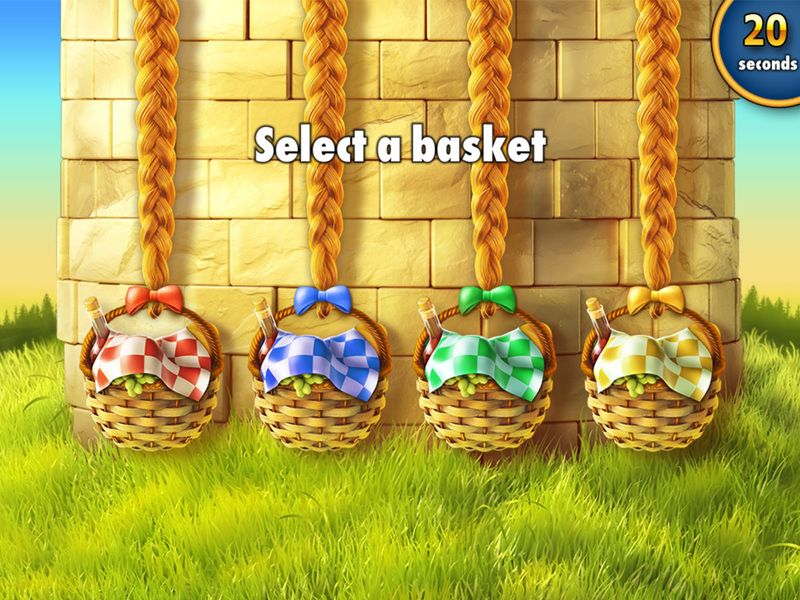 The further your chosen basket gets within 20 seconds, the higher your wins. 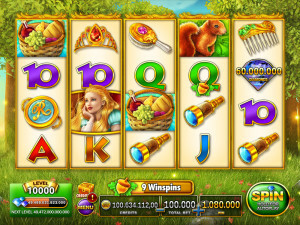 3 “Squirrel” symbols trigger the guaranteed win bonus! 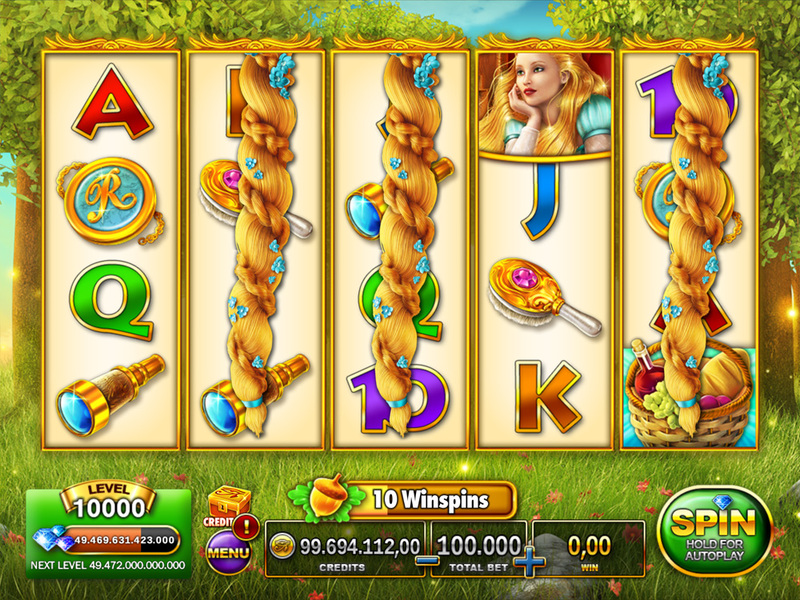 The more acorns you collect, the more wins you get, up to a maximum of 40, where the bonus is triggered automatically.